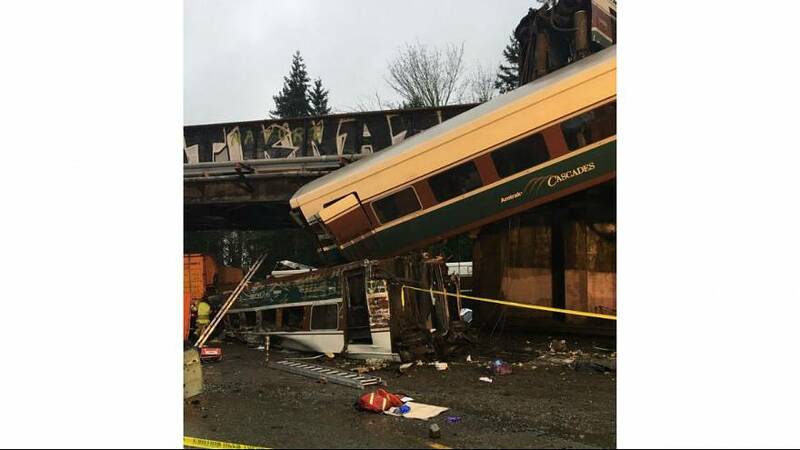 At least six people have been killed after a train derailed in the US state of Washington, near Seattle. Pictures on social media show one of its carriages falling from a bridge onto a busy highway below. A US official, speaking to the Associated Press, said at least six people had been killed and that the death toll was expected to rise. Earlier, Ed Troyer, a spokesman for Pierce County Sheriffs Department, told NBC there were multiple fatalities and injuries. Amtrak said there were 83 people on the train at the time of the accident. Hospitals say they are treating 77 people.